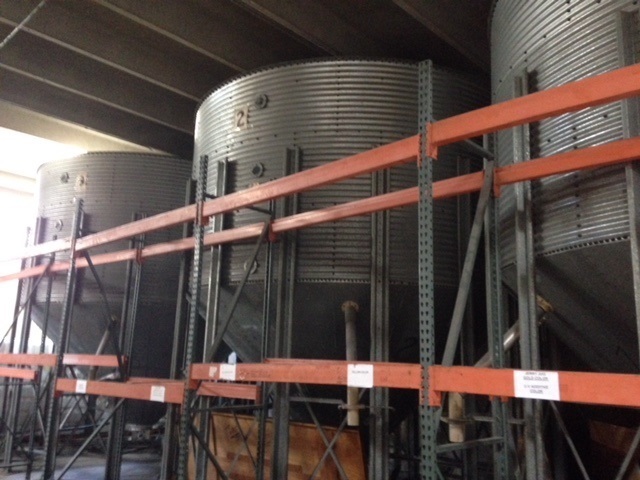 Three used galvanized steel silos for sale. The silos are approximately twenty years old and have been used to store plastic resin pellets. Each silo is approximately 20 feet in diameter and approximately 25 feet high. Each silo has a capacity of 60,000 lbs. The silos have never been outdoors. All parts and fasteners included. The silos are currently located in southern Florida.